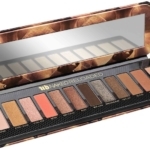 If you’re brow-challenged like I am, you’re going to be excited at the news of Urban Decay’s new Street Style Brow Collection. While they’ve done brow products in the past, the line has been entirely refreshed. 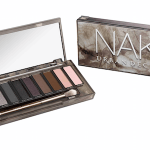 Urban Decay has thrown out the rule book, giving us the shades and tools we need. I’ve always had thick brows, and never even needed to consider using a brow product, other than a clear gel. But it seems with each passing year, my brows get thinner, and I’m to the point where I definitely need to fill in. I’m usually never happy with the results; the colors often look fake and unnatural. I’m happy to report that there is a shade for everyone in this collection. Double Down Brow is a waterproof smudgeproof brow putty in 7 shades: Taupe Trap, the universally flattering shade, Brown Sugar (soft medium brown), Café Kitty (warm medium brown), Brunette Betty (warm brown), Neutral Nana (neutral), Gingersnap (auburn) and Dark Drapes (dark brown). 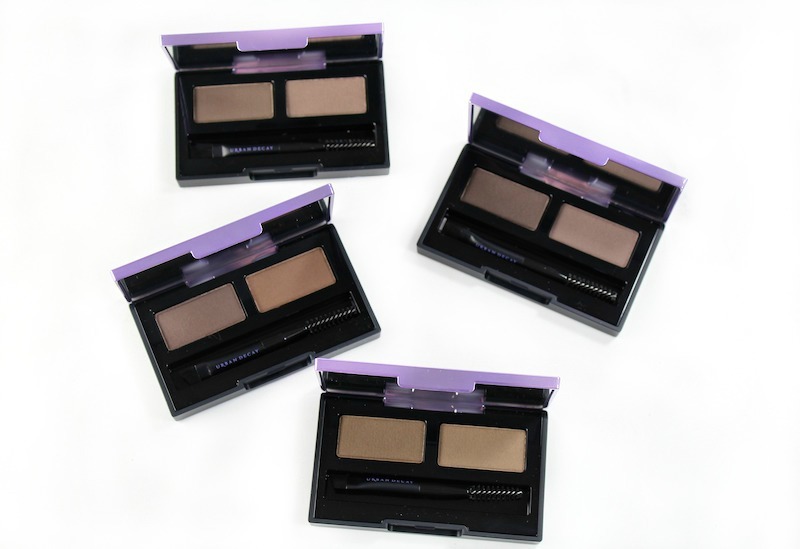 Brow Endowed, a dual-sided brow primer (for taming) and brow color on the other side. 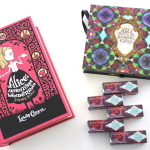 The wand is tiny, so you can really get a natural, volumized look. Brow Blade is a dual-sided ink stain/waterproof pencil. Designed to replicate a microblade effect, without the committment! There is a brush-tip on one end to create hairlike strokes, while the other end has a waterproof pencil to define and fill-in. 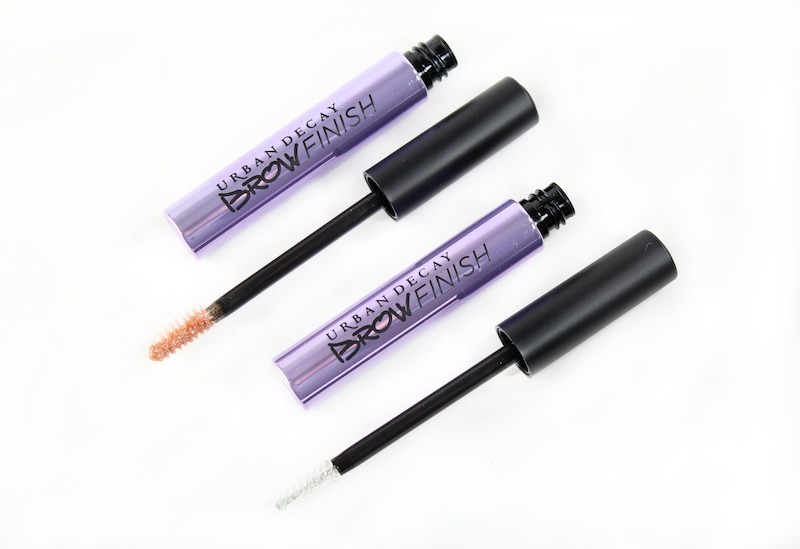 Brow Finish is the waterproof brow gel to finish and set your brows. There are two shades, Ozone (clear) and Midnight Cowboy, which has a sparkle effect. 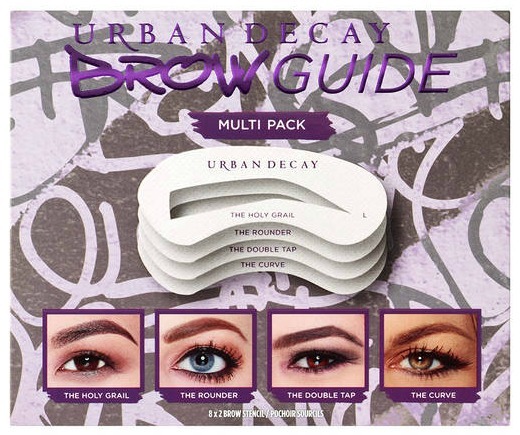 Brow Guide Stencils pictured above; (I didn’t receive this this product for testing). 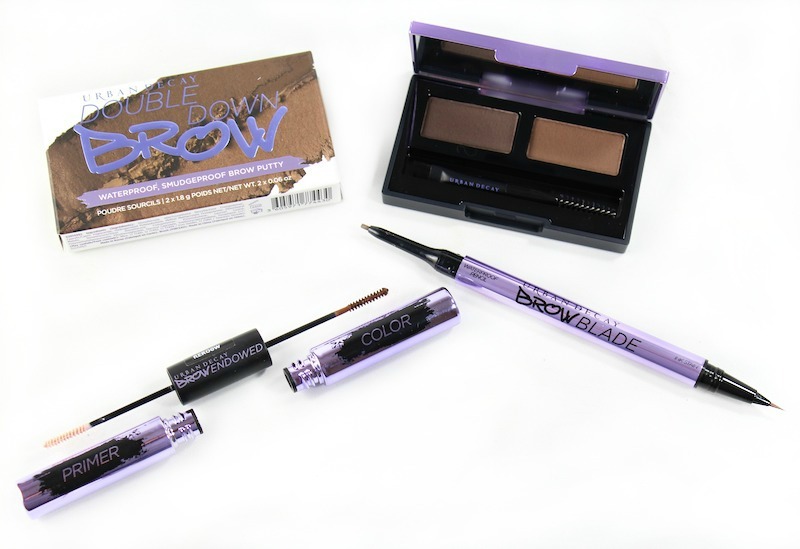 After using the products for a couple of weeks, Double Down Brow is my favorite product; it looks natural and lasts all day. I also really like the Brow Blade; I’ve been wanting to do microblading, but I’ve been worried that it wouldn’t look natural, so this is a great way to play around to see if I like the look. I’ll probably wind up buying the Brow Guide Stencils, just to give me a little more confidence that I’m getting the right shape. 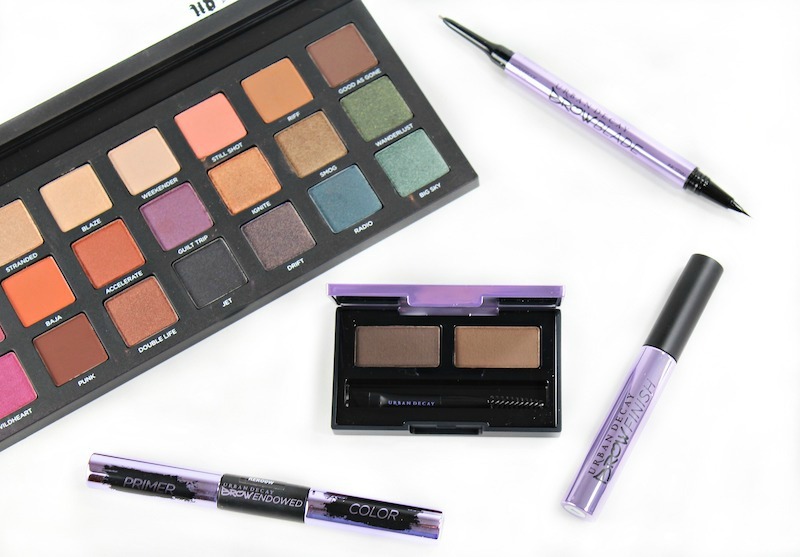 The best part of this collection is that Double Down Brow, Brow Endowed and Brow Blade are all available in the same color range, so you can mix and match products without fear. 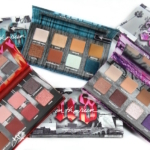 The Urban Decay Street Style Brow Collection is available at Sephora, Ulta Beauty, select Macy’s stores and at urbandecay.com. Will you be trying anything? 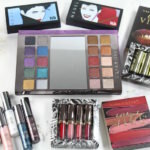 Urban Decay VICE Liquid Lipstick!